Collaborating with unique talents from the independent art scene, Modern-twist brings art to the table. Made from food grade, hand silk-screened silicone. The mats wont crease or rip. Great for travel and meal time activities. 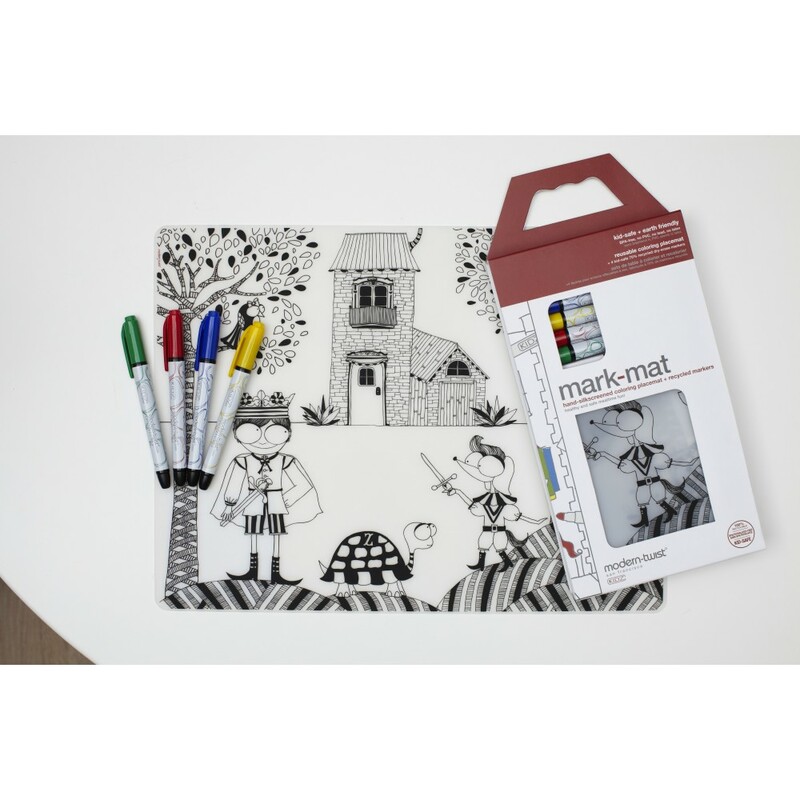 The kids placemats feature creative, playful designs that will amuse and inspire little tikes. For parents who live a design-inspired lifestyle, the simple, clean design provides optimal functionality with a minimalist aesthetic. 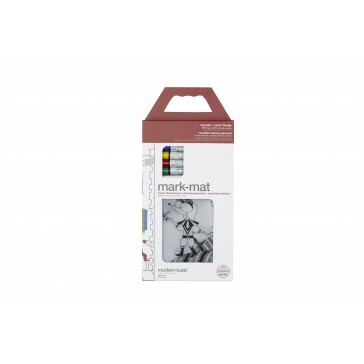 Nurturing the inner artist in every child, the mats are doodle-friendly with the use of washable or dry erase markers - save paper/save trees, just clean off with a damp cloth or rinse. Colour again and again. 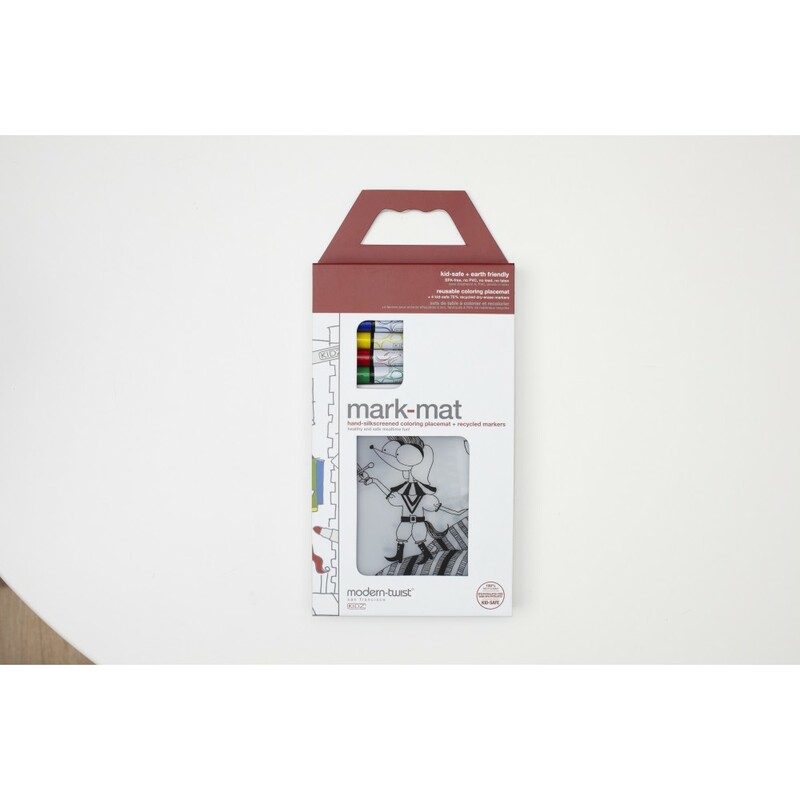 Each Mark Mat pack includes 1 Kid's sized placemat and 4 dry erase markers. 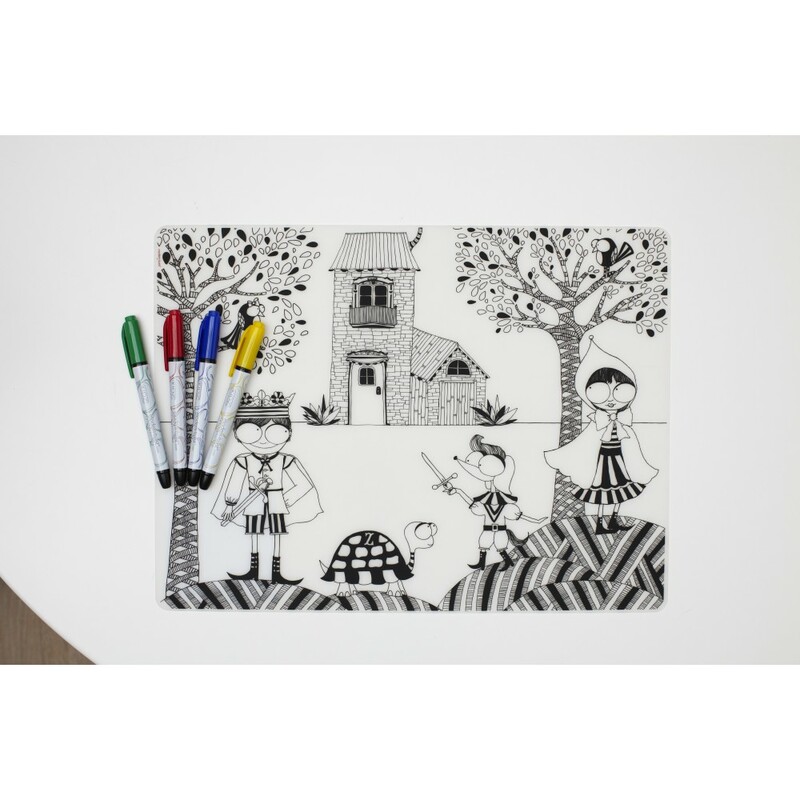 Placemats are non-porous + germ-free surface. Free of BPA, lead, latex, phthalates + other harsh chemicals. Keep away from sharp objects. Wipe or rinse clean. Heat proof to 250 Celsius. 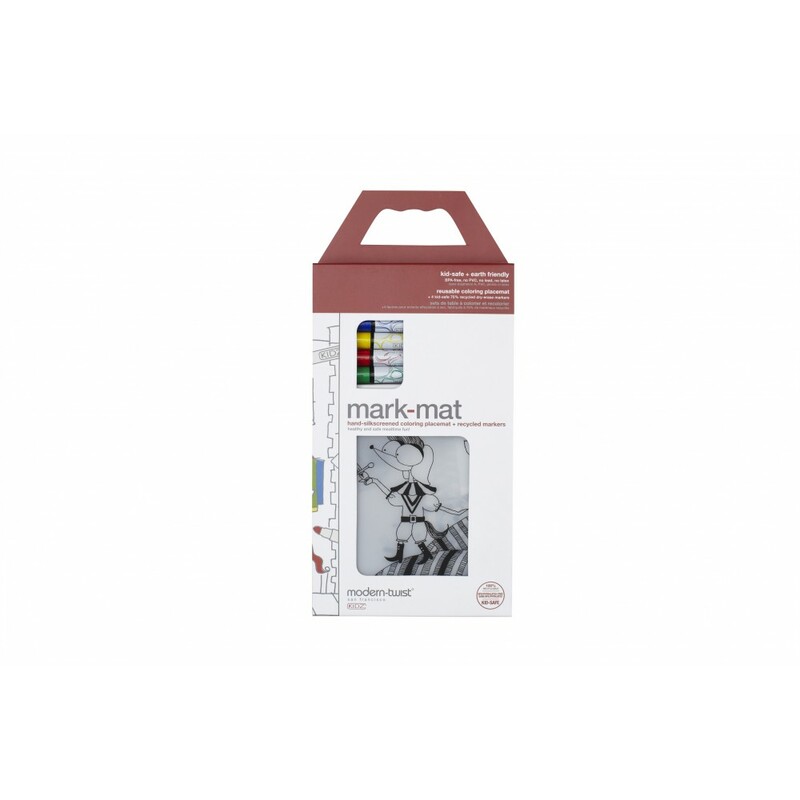 Care: markers may leave residue on mats. Wipe or wash mats after use.